Fashion color 11 pt. 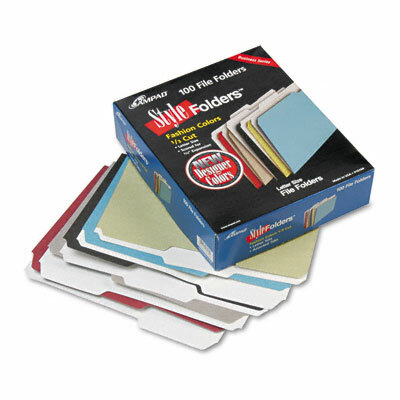 stock letter size folders. Designer colors make a fashionable statement at home and office. 11 pt. stock letter size folders. 1/3 cut tabs in assorted positions. Black, charcoal gray, fiesta red, sage and spectrum blue.